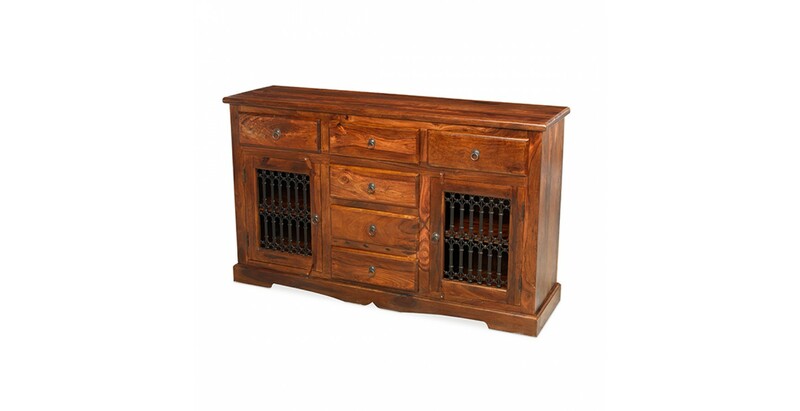 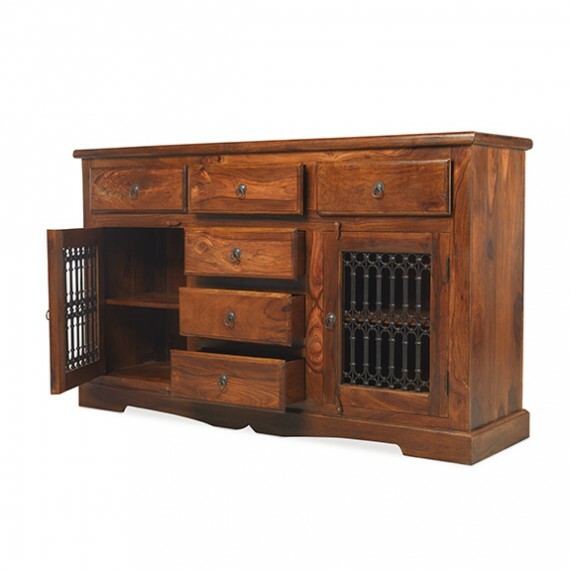 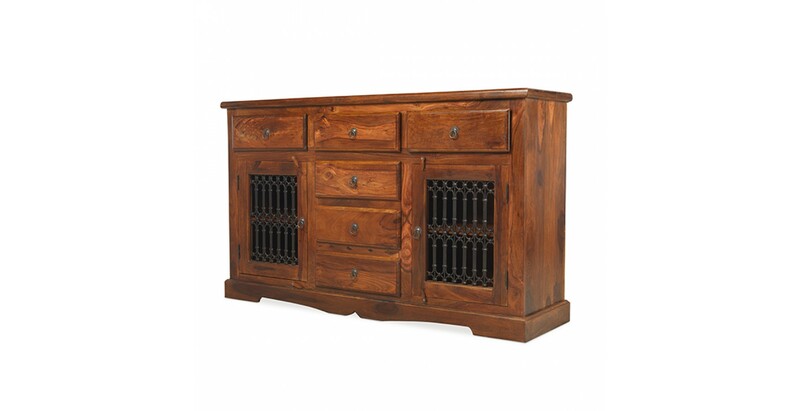 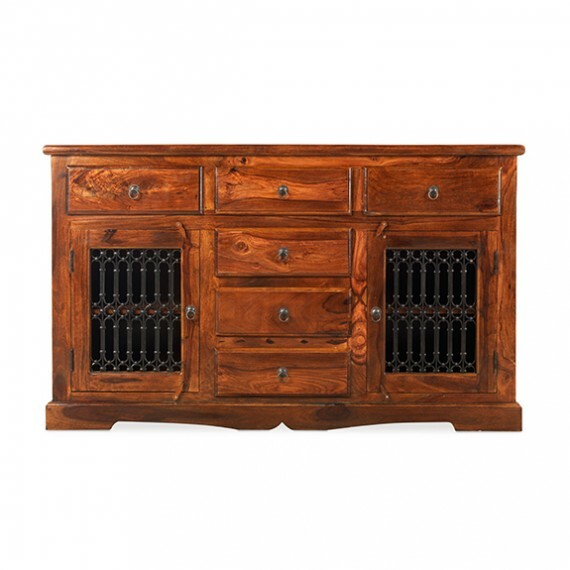 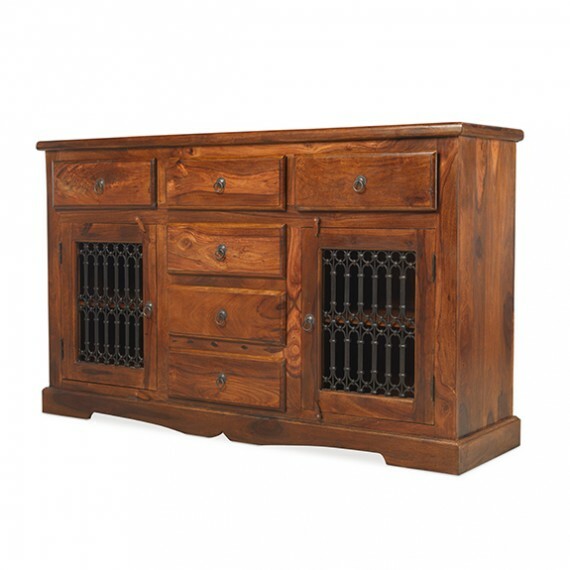 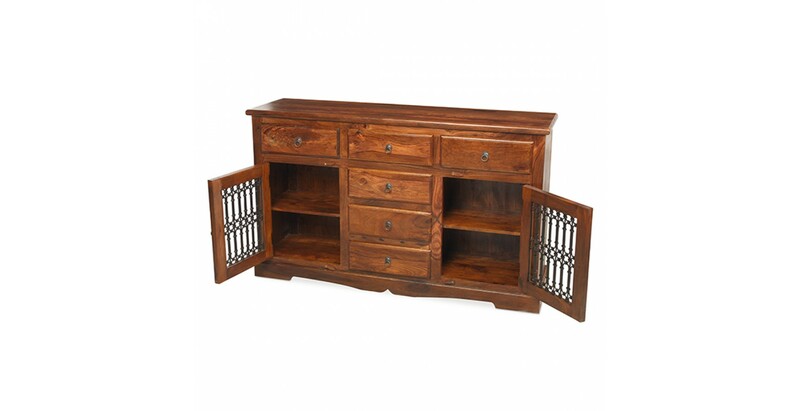 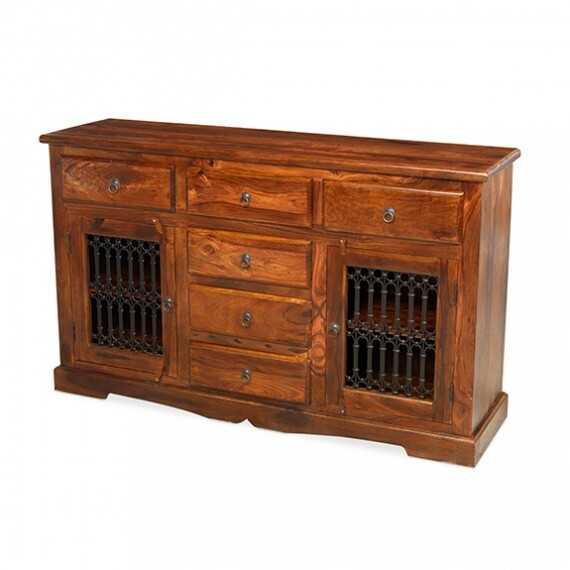 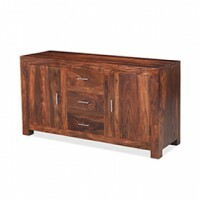 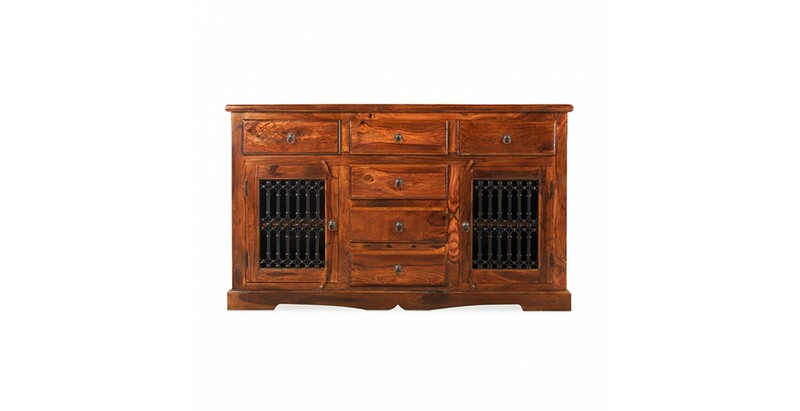 Skilfully handmade by Indian artisans from sheesham wood to give it its own unique dark-toned character that's brought out to perfection by the stained and waxed finish, this impressive sideboard is sure to take pride of place in your home. 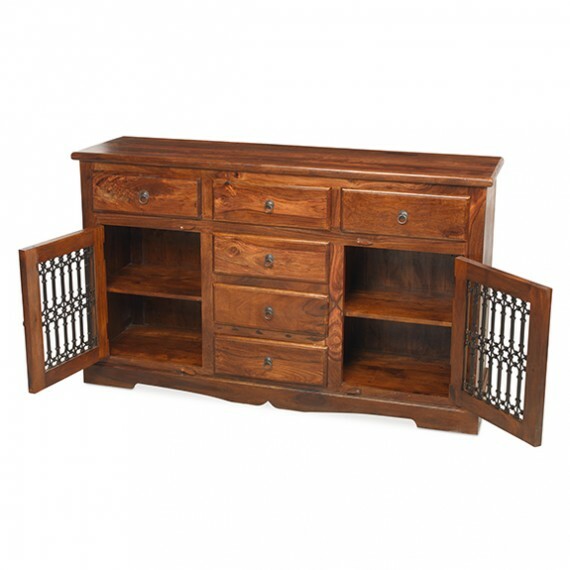 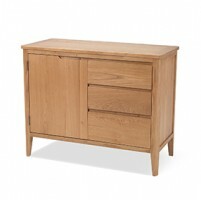 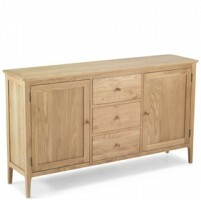 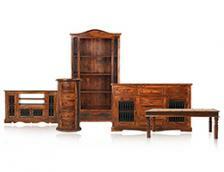 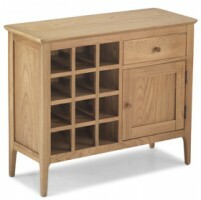 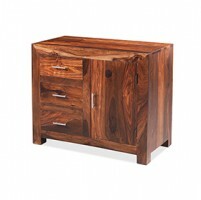 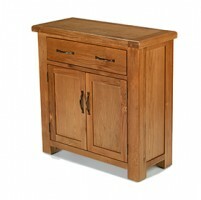 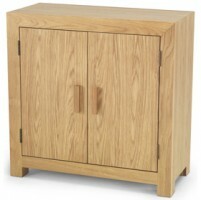 Making a fantastic standalone signature piece, its colonial styling will also work well with other pieces from the range. 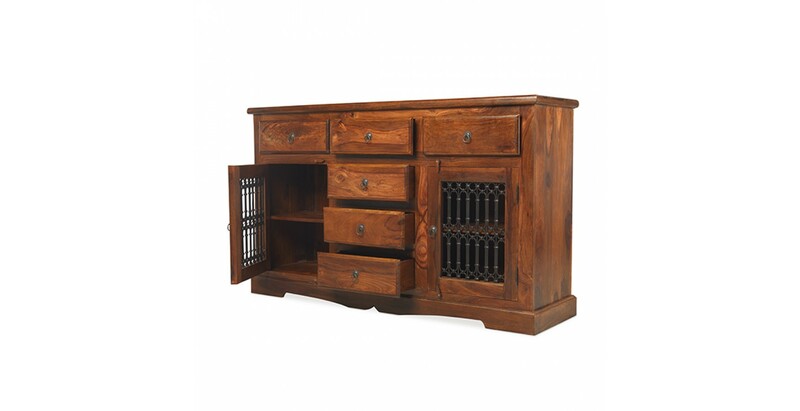 With six spacious drawers that stand proud of the frame and two cupboards with a shelf offering ample storage space, the distinctive wrought iron portcullis work on the doors and metal ring handles add to its authentic charms.